Removal ProcedureRemove the control solenoid valve and transmission control module assembly. RefertoControl Solenoid Valve and Transmission Control Module Assembly Replacement. Disconnect the input speed sensor electrical connector-(1). 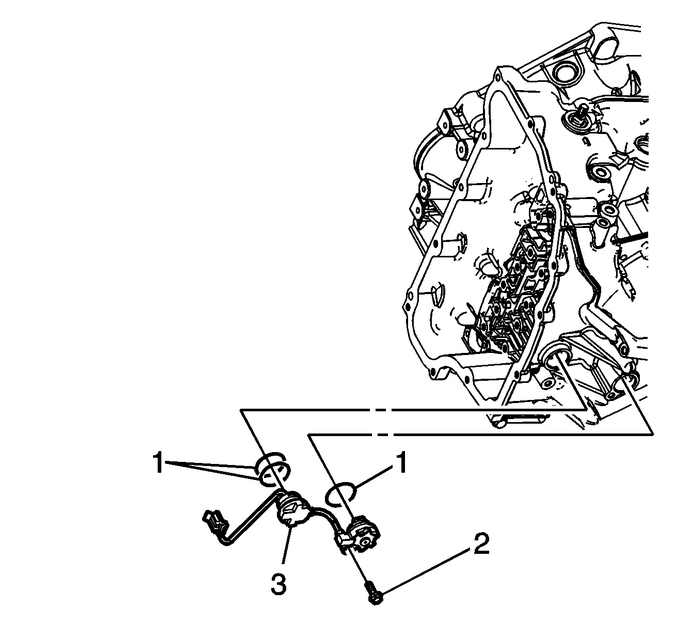 Install the 3-input speed sensor seals-(1).Install the input speed sensor-(3). Install the input speed sensor bolt-(2) M6 x 23 and tighten to 9-Y (80-lb-in). Connect the input speed sensor electrical connector-(1).Install the control solenoid valve and transmission control module assembly. 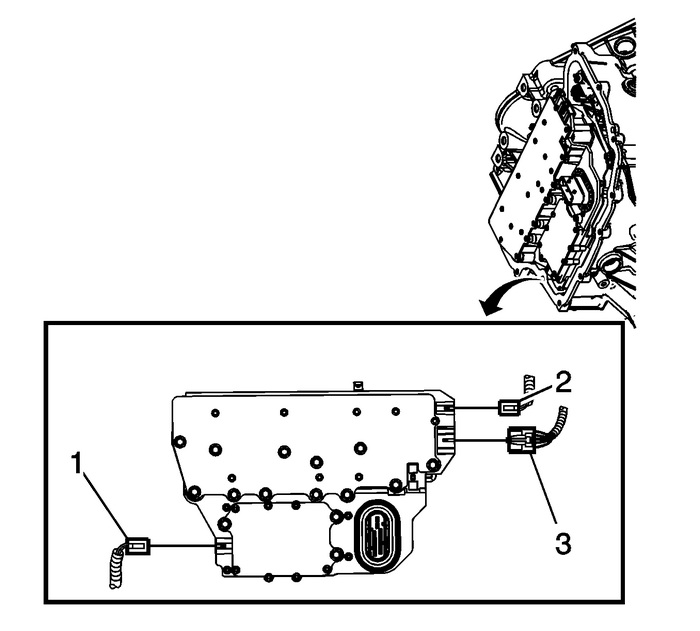 RefertoControl Solenoid Valve and Transmission Control Module Assembly Replacement.Perform the transmission adaptive values learn procedure. Refer toTransmission Adaptive Values Learn.